Game of Thrones is back and the stars of this iconic show have gathered to celebrate during the premiere of season eight held in Radio City Music Hall in New York. Sophie Turner, Emilia Clarke, Maisie Williams and many other dazzled us with their outfits for the red carpet, promising to end the show with a bang. We have waited for almost two years for the eighth and final season to the premiere and in less than two weeks the season premiere will be aired at HBO. The cast gathered on Wednesday night to honour the show and say their farewells in a fabulous fashion, in high couture. Emilia Clarke looked exactly the queen that she is on the show as she arrived in a sheer tulle dress that she matched with a very vampy and cool dark purple lipstick. The 32-year-old actress shocked the public two weeks ago when she shared she suffered two near-deadly brain aneurysms after the first season in 2011. She decided to speak up, help the world and raise awareness. She came out of the situation stronger than ever, just like Daenerys Targaryen. Sophie Turner looked absolutely stunning in a corset-like Louis Vuitton design while her on-screen sister, Maisie Williams rocked a glittering black Miu Miu gown with tiers of bead-embellished ruffles. Kit Harrington, the man behind hero Jon Snow, looked sharp in all black while his wife and fellow star Rose Leslie, smouldered in a red Oscar de La Renta. Sean Bean, Gwendoline Cristie, Natalie Dormer, Jason Momoa and many other cast members joined the party and of course, the author of the show R.R. Martin was thrilled with joy and pride to see how far his universe had grown. The stars walked the red carpet in all their shine, proudly showing off how much the things have changed in the past eight years since the season 1 first aired. Game of Thrones premieres on Sunday 14 April on HBO so get ready to be mind-blown. 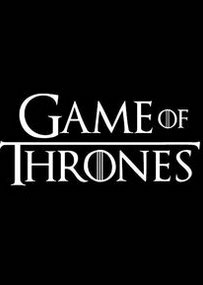 Judging by the past seven seasons, all our favourite characters may end up dead but we just can’t be sure who will sit on the Iron Throne at the end. The only thing that is certain is that season eight is the final one. HBO has confirmed they’ll be airing a two-hour behind-scenes GOT documentary after the final episode airs, so we can find some comfort there when the show wraps for good.